Discussion in 'Price Drops, Must-Have Freebies, and Deals' started by Andy C83, Jun 25, 2015. 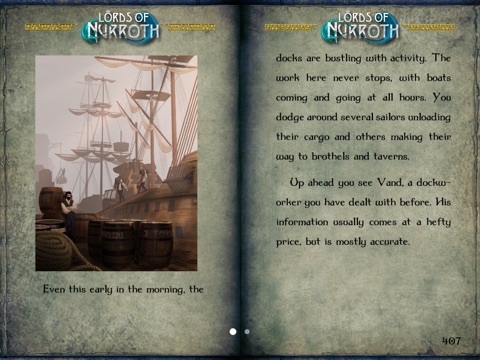 Nurroth, north of Orlandes City, is often viewed as an uncultured den of pirates and thieves. As a professional thief yourself, you get more than you bargain for after completing your most recent job. Clearly, you’ve stolen something you shouldn’t have. The Nurrothian Lords are on your trail, and you’re soon caught in a political tangle between Nurroth and Falavia. 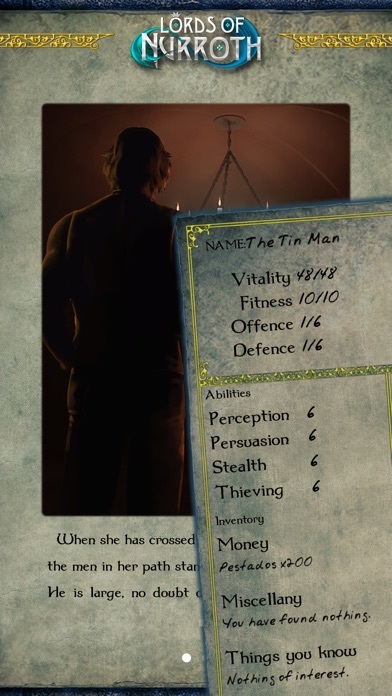 But a thief’s life is never meant to be easy… ** FEATURES ** •Customize your character! 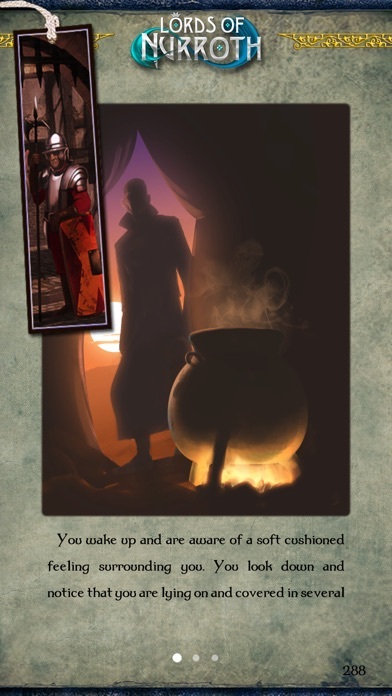 Become skilled in Persuasion, Stealth, Thievery and Perception! 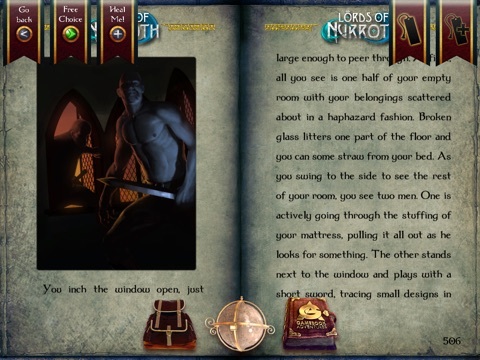 •Includes all the interactive reading and gameplay features found in the previous Gamebook Adventures titles. •Read and dictate the direction of the story! Options based on who you have met, where you have visited and what you have found. •Lots of achievements to collect and artwork to find throughout the book. These are placed on your achievement wall. •Three difficulty levels. Read the book casually by being able to move around freely or crank up the difficulty and be the ultimate gamebook player. 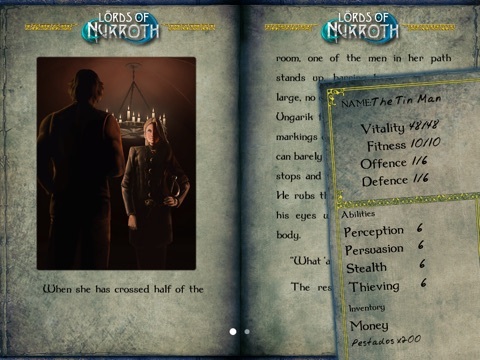 Lords of Nurroth has been created using Tin Man Games’ critically acclaimed Gamebook Adventures Engine featuring: •Read the book horizontally or vertically on your iPad. •An automated Adventure Sheet to keep track of stats and inventory. •Realistic physics based dice rolling. Shake your device! •Artwork gallery. 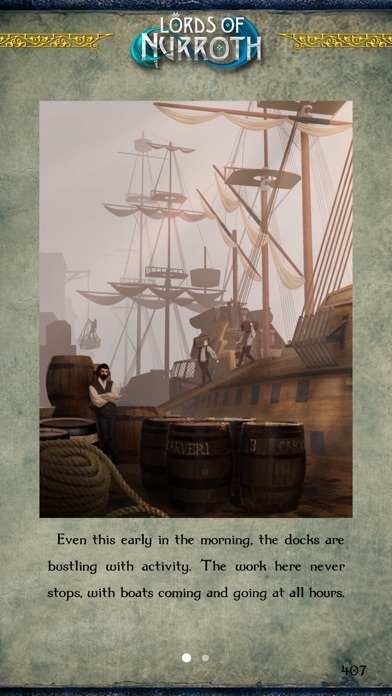 Find an illustration in the gamebook and be able to access it full-screen forever. •Bookmarking system which saves your position in the gamebook, much like putting your fingers between the pages to remember your previous page when reading the paperback! 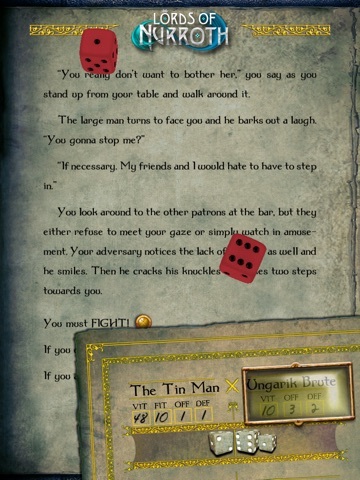 Join Tin Man Games at www.gamebookadventures.com for lots more exciting digital gamebooks including the Fighting Fantasy series and Judge Dredd! How accessible are these for someone who hasn't played a Gamebook style game... should I start with #1? Are they all in series or standalone? I love RPG's (both Western and Japanese), Baldur's Gate, etc and I've played AD&D in the past (but it was ages ago)... never played a gamebook though. I'm wondering if it'd be for me or not -- tempted to dive into one at this great price, then more if I like them! You can play any of them independently and in any order. 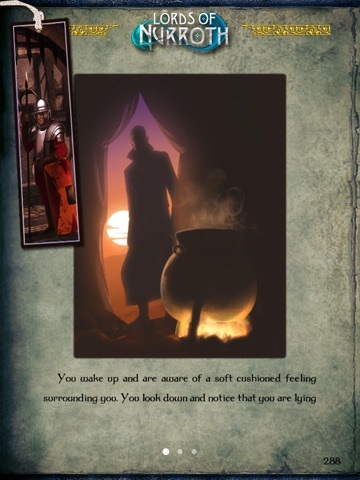 They exist in a common world, and it might be enjoyable to play An Assassin in Orlandes before Curse of the Assassin, and Slaves of Rema before Sultans of Rema, but honestly, they are designed to be enjoyable independently of what you know from another Gamebook. I own all of the Gamebook titles, and I would advise anyone out there who does not own one of more of these Gamebooks to just get all 10 of them right now at 99 cents each. They are great apps with a great UI and interesting artwork and good fantasy writing. 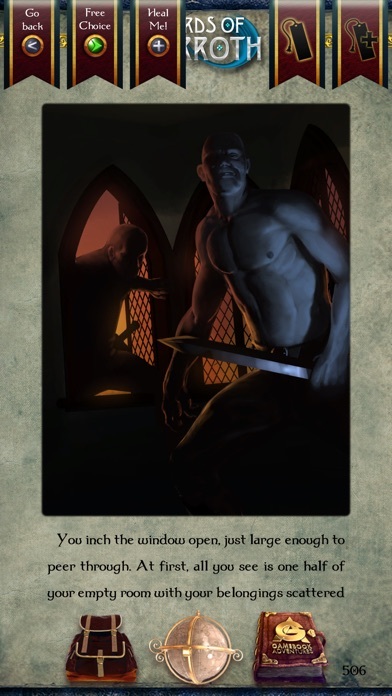 If you are not a heavy RPG player who spends a lot of time managing character builds and inventory Baldur's Gate or Dragon Age 3 or whatever, then these Gamebooks are a great way to enjoy the story and the artwork and making decisions and engaging in combat without the complexity of some other CRPGs. IMHO I'd start with #1 since it's one of my favorite books of theirs. Also I'd say that the GA titles are in general better story-wise than your typical gamebook. Aside from the titles that match, they're fairly independent of each other. For someone new to GA I'd avoid 7 (fairly random bits) and 8 (really didn't care for the forced humor style) otherwise they're all good. Again, I think #1 is a great start and then go where you want from there. 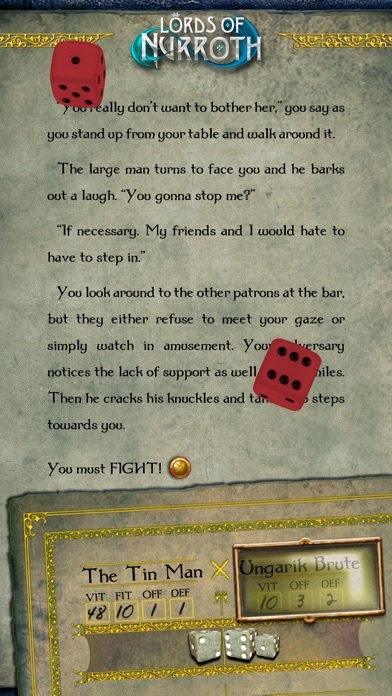 Not to steal any thunder from TinMan, but if you'd like to try something in a Gamebook format that is much more RPG-ish, check out Fabled Lands II Gold Edition. Thanks for the responses! Guess I'll start with #1 tonight, give it a spin for a day or two, and then maybe splurge all the way down the list if they're fun. I love fantasy artwork, good writing, and RPG games (w/o having to min/max). Sounds like a great genre to try out! EDIT: Ok - got home and picked up the first one and enjoyed this so much (played about 30 minutes) that I bought the first three in the series. Looking forward to these!